Summer may be coming to a close, but that doesn’t mean you don’t want to keep that rockin’ bikini body going all winter long. Exercising is an important step in this process. You’ve probably heard a lot of myths about working out, such as how running is the best way to lose weight or yoga can keep you in shape. This may be true for some people, but remember that exercise is not a one-size-fits-all scenario. Women have very different needs from men, and each woman has a unique body makeup to consider. It’s universally known that men tend to have an easier time shedding pounds than women. Part of that is because of their anatomy, but a bigger part of it is the kind of exercise men tend to do, primarily lifting weights. This might be the best way to stay fit and lose weight. Cardio can be mixed into your routine a couple times per week as well. Women should adopt a weight-lifting routine if they want to tone their bodies and be healthy. Lifting weights can be difficult at first, but you’ll work your way up to it until you’re lifting as much, if not more, than many of the guys you work out next to. Consider a pre-workout powder like Mesomorph to promote strength and healing as well as plenty of protein. 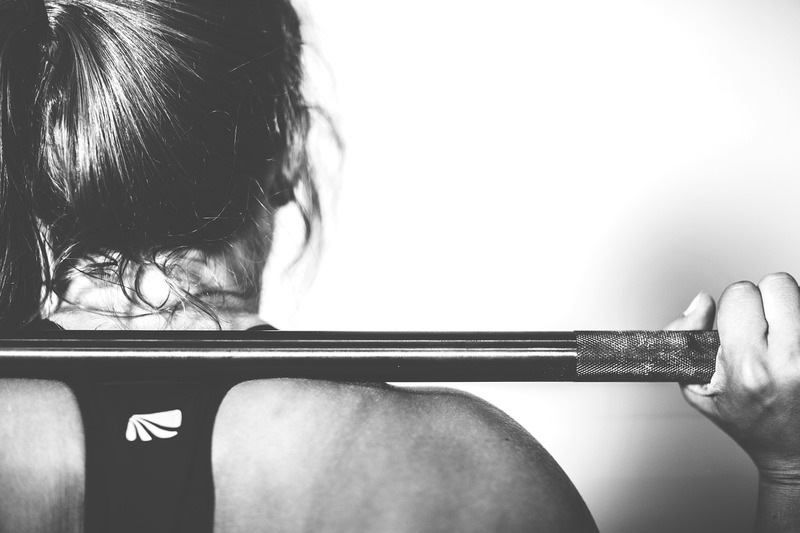 Whether you’re looking for a way to update your current workout routine or you’re just getting started, here are three of the best weightlifting exercises women can do to tone up, lose weight, and feel good about themselves. Don’t be surprised if you get stares from others in the gym while you do your weighted hip thrusts. But don’t worry. When they see how good your buttocks and thighs look after doing these moves for a few weeks, they’ll be asking you to teach them the move. A weighted hip thrust starts by lying on your back with a weighted barbell over your lap. (You might also lean against a workout bench if that’s easier than doing the move lying down.) You can use a yoga mat or pillow to cushion the bar if it hurts your thighs. Put your knees up and place your feet flat on the ground. Focusing on engaging your glutes, lift the barbell until your buttocks, thighs, and lower back form a downward-sloping, straight line. Your shoulder blades should be flat on the ground. Squeeze your glutes at full contraction, and hold for a couple of seconds. Smoothly lower your body to the ground again, and repeat. Try for three to five sets of eight to 10 reps.
Deadlifts are among the most useful exercises for both men and women. For women in particular, the movement will increase your overall strength while helping to melt fat off your thighs, glutes, arms, and abs. A deadlift involves lifting a very heavy barbell off the ground until you’re standing up straight. You’ll squat with a flat back to pick up the weight, lift it without bending your arms, and squeeze your glutes at full contraction. Repeat 10 to 15 reps for three to five sets. It’s a pretty simple move, but you want to make sure you get it right to avoid injury. Keep your back straight and concentrate on lifting with your heels and legs rather than with your arms and back. While this isn’t a weightlifting exercise per se, it will do your body a lot of good. A plank engages your arms, core, legs, and glutes, strengthening them and effectively toning your whole body. A straight plank is performed by lying on your stomach with your elbows propping you up. (When you’re ready to advance the move, you can do a plank resting on your palms with your arms straight.) Put your toes on the ground and lift your body into a straight bridge, squeezing your glutes and focusing on doing the movement with your core. You can do straight or side-planks (or a combination of the two) with every workout. Start with a 30-second plank each workout session, and add a few seconds every session until you’re doing it for several minutes at a time. It will tone your abs, boost your metabolism, and complement your new weight lifting routine. You’ll be in shape in no time!